Following a disappointing performance at the 2018 world cup, the Pharaoh of Egypt restored confidence as they beat Niger 6-0 in the Africa cup of Nations Qualifier. Muhammad Salah scored two goals, assisted a further two and missed two penalties as Egypt sensationally beat Niger. It all Started in the first minute when the hosts were awarded a penalty inside 60seconds but Salah saw his effort saved. It didn't take long for the Egyptian to make up for his miss, setting up Marwan Mohsen for the game's opener on minute 13. Ayman Ashraf doubled Egypt's lead before the Reds winger saw yet another penalty saved. This time Salah took advantage of the rebound to stroke home his side's third. 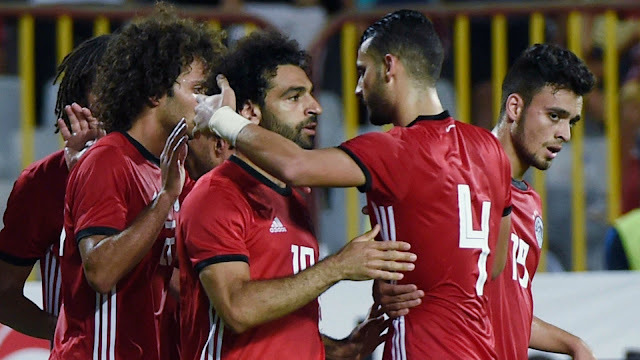 The 26-year-old turned provider once again setting up Salah Mohsen before heading in Egypt's fifth. Arsenal's Mohamed Elneny wrapped up the 6-0 win. And if Mohsen had not over hit his pass, Sallah could have had a hat trick in the dying minutes of the game.